A commitment to engage with a range of artists was taken early in the design process and five artists were selected from an invited design competition to produce contemporary works for the new office environment. 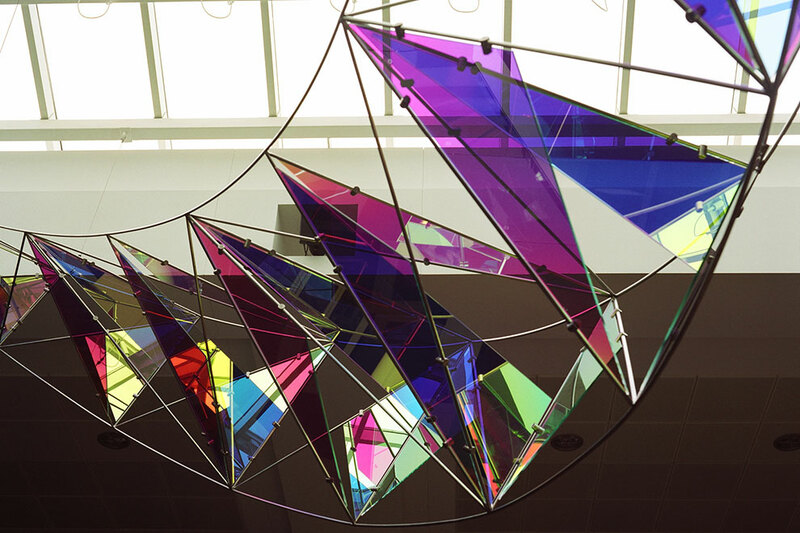 Laura Johnston has established a national profile for her hanging glass sculptures, which use the technology of Dichroic glass to create complex structures that reflect and refract light, and appear to change as people move past the work. 'Prismatics' is a direct response to the new courtyard space at Northern Rock. The form cuts dramatically through the central area of the atrium in a number of ways; walking across the bridge, the sculpture appears to ascend like a stairway, from below it appears like a crystalline structure.